Monday-Friday 3:00 p.m.- 11:00 p.m.
Saturday-Sunday 12:00 p.m.- 11:00 p.m.
Monday, Wednesday & Friday 3:00 p.m.- 7:00 p.m.
Tuesday & Thursday 3:00 p.m.- 8:00 p.m.
Saturday-Sunday 3:00 p.m.- 8:00 p.m. The American Legion is a patriotic veterans organization that focuses on service to veterans, service members and communities. The District is pleased to have one of the most influential nonprofit groups of the United States in Downtown Ames. The American Legion Post 37 of Ames holds many types of events such as bingo nights, contests, community services and more! Fore more information regarding membership eligibility and events visit www.ameslegionpost37.com. Monday-Friday 11:00 a.m.- 2:00 p.m.
Monday-Saturday: Beginning at 5:00 p.m. Lounge open daily at 4:00 p.m.
Aunt Maude’s is a locally owned casual restaurant. The concept of Aunt Maude’s was created on a Sunday morning in 1975 over a few Bloody Mary’s. Although Aunt Maude the person is mythical, they cherish the ideals of her with their casual personal style, superb service, and excellent cuisine. Aunt Maude's features fresh, local, house-made food, and a full bar and wine list. Patio seating and private dining are available. Serving lunch and dinner, reservations accepted. 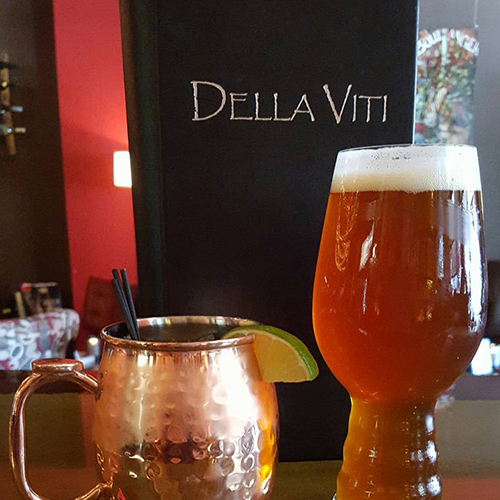 Monday-Saturday 7:00 a.m.- 10:30 p.m.
Sunday 8:00 a.m.- 6:00 p.m.
Cafe Diem is a coffee shop that offers an assortment of beverages and menu items. Come and enjoy coffee, lattes, cappuccino, chai, and even decaf. This is a coffee shop in Iowa that offers an atmosphere that is suited to the casual coffee drinker, students getting homework done, freelancers, or just a place to lounge in solitude or with a group of friends. This is a great coffee shop in Downtown Ames that locals as well as newcomers love alike! Monday-Thursday 11 a.m.- 2:00 p.m. & 4:30 p.m.- 12:00 a.m.
Friday-Sunday 11 a.m.- 12;00 a.m.
"Serving the Best since 1979." From a thick hearty whole wheat crusted pizza oozing with delicious real cheese to a traditional thin white crusted pizza with a lighter balance of cheese, toppings, and crust, the Great Plains Sauce & Dough Company offers several options for how you want your pizza. 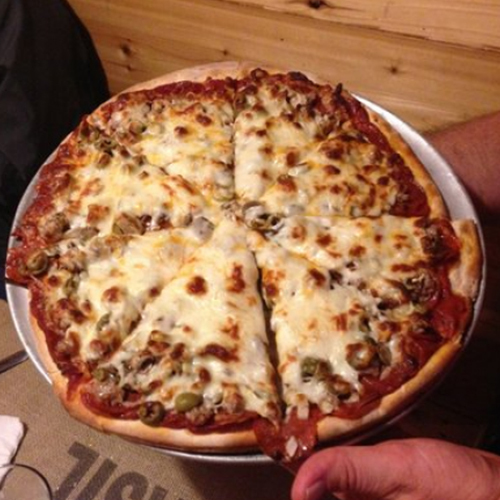 With 16 different toppings to choose from and a choice of 6 different crust styles, the Great Plains is sure to keep your stomach full! 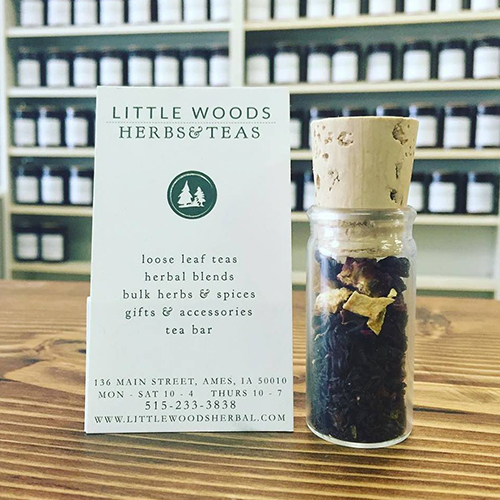 Little Woods specializes in medicinal herbs and wellness blends for the budding home herbalist and artisan teas for the tea enthusiast from whole ingredients with no extracts or flavors added. They provide the herbs you need in the quantities you want. Monday-Thursday 4:00 p.m.- 2:00 a.m.
Friday-Saturday 3:00 p.m.- 2:00 a.m.
Sunday 4:00 p.m.- 2:00 a.m. Located in the heart of Ames Downtown, London Underground has become an institution in the district. Its social atmosphere and selection of over 50 beers are guaranteed to make for a great experience. Olde Main Brewing Co. is an Iowa-based brewery and restaurant distributing delicious beers across the state. Swing by for your choice of sandwiches, pastas, burgers, and plenty of different entrees to choose from! Monday-Saturday 11:00 a.m.- 2:30 p.m.
Monday-Saturday 5:00 p.m.- 9:00 p.m. The Spice offers authentic Thai cuisine in a stylish and sophisticated, yet relaxed environment. Its authentic Thai food and style are a great addition to the Ames Downtown area. With Ames hosting so much diversity in the community, The Spice is a natural fit and offers an extension of flavors in the District. Dining at The Spice is an international experience that you can get locally here in Ames, Iowa. It is definitely worth a try! Monday - Sunday: 7:00 a.m.- 9:00 p.m.
Wheatsfield Co-op has been community-owned since its founding in 1974 as a buying club on the ISU campus. Today Wheatsfield is a full-service natural foods grocery store located at 413 Northwestern Ave. Currently there are over 4,500 member-owners of the co-op and 100 local producers products throughout the store. Everyone can shop, anyone can join. Monday - Sunday 11:00 a.m.- 2:00 a.m. Whiskey River is well known in Ames, IA for their wide variety of American food at affordable prices in a great bar atmosphere. You can dine in or order take out. They pride themselves on flavorful food, generous portions, original recipes, and friendly service. Whiskey River offers a selection of over 170 different liquors, wines, and a wide range of over 60 beers with 12 on tap. It's a fun place in Downtown Ames to celebrate ISU games and holidays!